Friends you have the tools and you have the desire to chase greatness. You’ve proven that time and time again. You’ve overcame when things seemed impossible and you’ve found a way when there was no way. You have dug yourself out of the ditch time and time again and the fight in you has prospered – the blood, sweat and tears that you wear in your past serve as silent trophies in your memory of a fire in you that never gives up and never accepts defeat. You have and will conquer your troubles, your challenges and your dreams. You see the goal in the distance and each step closer brings you temporary fulfillment, that just keeps driving the hunger inside of you to keep plowing towards that COMPLETENESS of everything you want out of life – running on that rainbow to reach that pot of gold, with every step forward, you are burning with a new desire to keep moving….. Yet.. your fight never ends. Are you tired yet? I wish that 10 or 20 years ago I could’ve looked at myself in the mirror and seen the wear and tear of MYSELF clawing out the eyes of my own self. I wish I could’ve taken my focus off of each new challenge and problem and goal just for a short season to see the dwelling away of time.. years passing without pause.. life flying by without purpose, as with every problem solved or goal reached, another problem came my way and another goal was always there – and endless pile of crap…. Like trying to empty a lake that has a never ending stream pouring into the other end of it. Every bucket of water I empty in MY LABOR just results in the tide crashing down over me with another puddle over my head. Aren’t you tired? Where does it end? Where does rest and reward come together as one in a life of PEACE? Maybe you’re not as aggressive as me. Maybe you’re not as strong-willed, maybe you don’t have the fight in you that I had in me. If you don’t, I would say that’s a blessing for you. Because hard headed people like me would NEVER give up. I would never wake to smell the roses and realize that I’m fighting a never-ending battle that I’m guaranteed to LOSE… No matter how many points I score or how far I get in the race, I was guaranteed to LOSE before I even began. And so in my pride and in my strong-willed nature to NEVER be defeated by this world, I kept clawing forward with everything in me until finally… I had to fall flat on my face in order to WAKE UP to this pointless battle I was chin-deep inside of. I once thought my life was pretty awesome, and my gosh, was I excited about the future of just how far I could go to reach my dreams. But it wasn’t until my life was broken on the outside, did my eyes begin to open to see how broken I was on the inside. I couldn’t see the emptiness in my desires and weights that I’d placed upon my own heart in living a big lie – chasing after nothing like a rat running in a spinning wheel. I had a great marriage yet I wanted to change so many things about my husband (the end result wasn’t here yet). I had awesome kids, yet my dreams were hinged on who they would become (an external desire that wasn’t achieved yet). I was a rockstar at my job yet with every accomplishment, I saw the next goal (a hunger and a yearning that was never satisfied and quenched). I was happy with my appearance yet every trip to the mirror revealed another flaw that needed be addressed (I need breast implants, then botox.. expensive creams, another layer of make-up)… where will the scalpel end? The well I was drinking out of…. quenched my thirst for a time.. but I would always get thirsty again. I suppose I would’ve kept drinking this koolaide until one day, I’d be on my deathbed, looking back over my life, telling myself I have no regrets… yet wondering at the same time “What was the point?” I came into this world to fight this rigorous fight just to leave it all behind and be put in a coffin 6-feet under the ground? Did I go through all this just to get a “cool phrase” on my headstone and have my loved ones gather for a few hours to stand around sharing stories about who I was, shedding a few tears over my departure and throwing flowers over my corpse? WHAT IS LIFE? Cause this thing seems pretty pointless and pretty sad if you tell the story in cliff-notes – like a movie with a beginning and an ending – forgotten about before the sun rises on another day. There is a treasure that’s hidden – so well hidden, we can’t find it anywhere in this place. It’s not on a map, it’s not in anyone’s bank account, it’s not buried under the ground or kept within the highest mountain. It’s not in a building. It’s not found in our children or in our moments of happiness or moments of success. It’s NOT HERE – NOWHERE! It’s not hinged on a timeclock, waiting to appear to us at a later time. It’s not even of this world. Surprisingly… It’s inside of you. No one can see it or hear it or touch it. It’s a tiny seed, unseen by the human eye and unthinkable to the human mind… and it lives INSIDE OF YOU. This seed does not care how much money you have, how many children you’ve brought into this world, how attractive you are on the outside, or how important you are to others. The seed has no interest in what color your skin is, what personality traits you carry or even what you’ve done (both good and bad). This seed has NO INVESTMENT in the outward person that you have been or that you are today. The seed has not counted your deeds, your sorrows, your accomplishments or your failures. 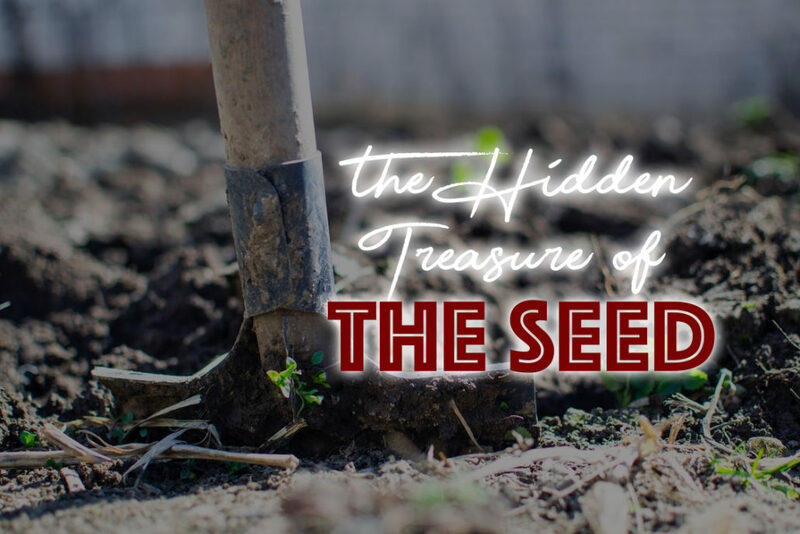 The seed doesn’t care how big your house is or how awesome your lifestyle is, in fact this SEED will destroy everything you have, everything you hope for and everything YOU ARE in order to open your eyes to this hidden TREASURE that lives within YOU. I’m writing this today because I want you to see this treasure (whoever you are reading this). And hear me – this treasure is not a religion. You won’t find it in a church and you wont’ find it listening to me or anyone else babble about “beliefs”… “cultures”.. “testimonies”…”life lessons”…. Everything that comes out of the human mouth is mostly empty promises and hopes that lead us right back to the empty well, drinking from something that will leave us thirsty again. We’re a self-centered people wanting recognition and reward from one another in the name of foolish pride. Don’t listen to any of us, not me and not even yourself – deceptive by nature to always want to SPEAK what we WANT TO HEAR – what pumps us up full of helium in order to go fight another day in search for our broken hearts desires – looking for band-aids to heal, repair and prosper the things we don’t even have the power to UNDERSTAND. The name of the seed is Jesus. He doesn’t live in a building and we can’t even find him in this world – we can’t even find Him in us until we see the pointlessness of us and beg the Father to open our eyes to our mortal human nature. We’re just dust from the ground, forming mud pies with our filthy hands before we head back into the ground again one day. But He’s not. He’s nothing like us. I can’t take you to Him or show you what He’s like and if I tried to explain His beauty with my filthy mouth, I’d just be a liar, bringing no justice to the FREEDOM that HE IS. My senses can’t behold Him but my heart has been rescued by the TRUTH of Him. I ask you to step away from this life for a moment, if you dare… Silence the noise and the kids and the jobs and empty advice of others and the goals and the dreams and the problems and the achievements and the exhausting weight of this world… and take a journey into the broken empty places of your own heart.. and of your own mortal existence. Stop worrying about your finances, if you fix them the problem will surely just come again. Stop worrying about your kids, if you keep them safe today, the danger is still lurking tomorrow. 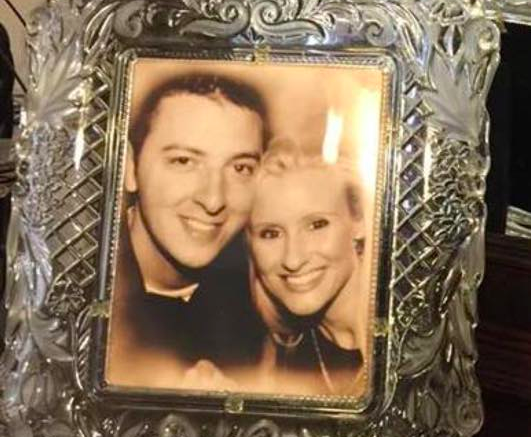 Stop worrying about your marriage, if you repair it, it’ll just break again. Stop worrying about your appearance and your friends and you’re house that’s falling apart – tell your mind to SHUT UP!!! Don’t be prideful and bullheaded like me. Surrender to the nothingness of what WE ARE and ask God to show you that priceless hidden seed in you. Ask him to water it and keep asking until the bud of it starts to break ground.. His seed in me has been shaking everything that can be shaken, breaking ground with each new day.. But my friends there is NOTHING LIKE IT – nothing compares to it. Nothing here can bring me the joy of HIM in ME… the whole world can be crumbling around me and my mind rests in peace because HE IS TAKING OVER ME – like a baby in the womb of a woman, moving and changing and increasing in size with the promise of being BORN INTO LIFE…. But not this life.. not our little visits here we call life.. Oh no, this is all meaningless… vanity… sure to pass away one day into nothing.. HE IS LIFE. This is the true Secret!